At my chef's station I have an opportunity to travel down a variety of culinary paths in any one day. A simple spaghettini drizzled with white truffle oil becomes haute couture stepping out in the local mall. Dusting down shrimp with a mix of spices reminiscent of the Middle East brings to mind fishing boats in the Mediterranean hauling their nets full of catch of the day. Food can be as exciting as all of this and more, it doesn't have to be drudgery or boring simply because our bodies need to be nourished daily. 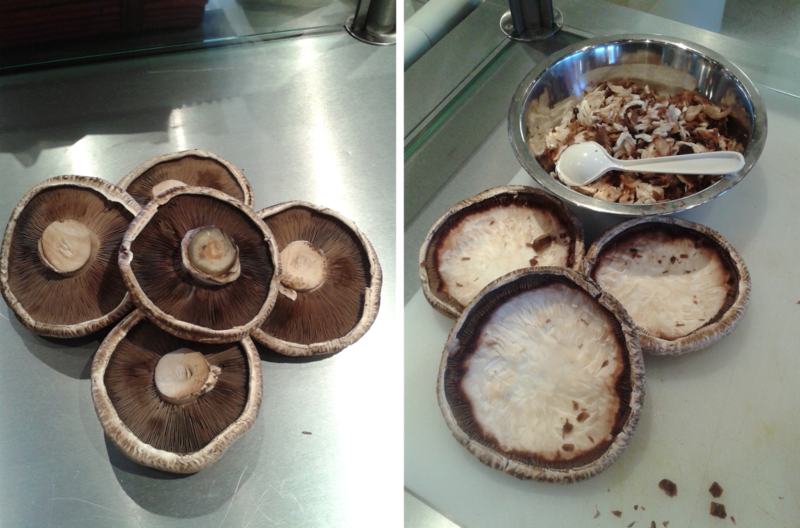 Let's begin with some fresh portobello mushrooms, picking out the large and plump ones. Mushrooms have a wonderful aroma and a woodsy taste, portobellos can become bowls for all sorts of fillings, eaten hot or cold on their own or as a side to any main dish. 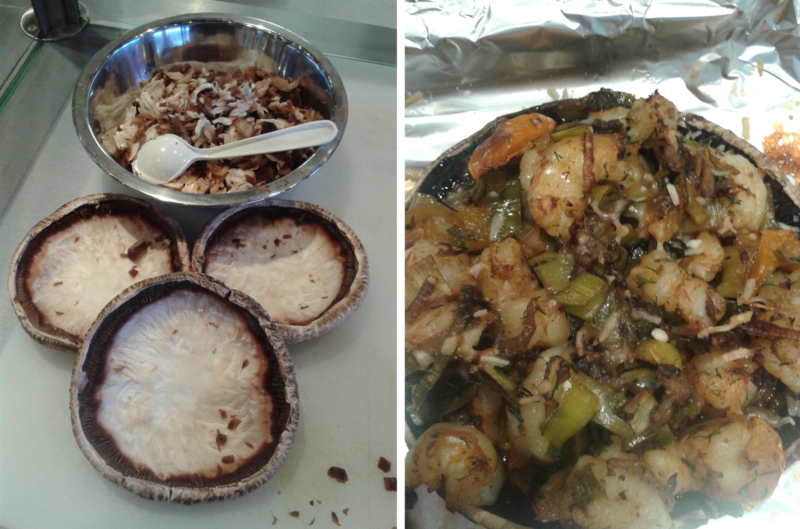 This first recipe has the portobellos stuffed with an eggplant spread the Eastern Europeans call an IKRA. Jokingly Eastern Europeans call the Ikra a poor man's caviar though the taste is no joke. Using a teaspoon slowly remove much of the inner flesh of the mushrooms avoiding the temptation to scrape too hard and break the mushroom. Set mushrooms aside with the scraped flesh. the eggplant absorbs the oil and you may need to add more to avoid sticking and burning. till eggplant is well cooked. Add half of the scraped flesh of the mushroom to the eggplant mixture and continue to cook for 10-15 minutes, till everything is combined. Taking a potato masher work the mixture to create a smooth spread. Fill mushrooms with the slightly cooled eggplant mix and place in the middle of the oven under the broiler. and avoid a burn on the top of the eggplant. Taking a teaspoon remove gently most of the flesh of the mushrooms being careful not to break the walls of the mushroom. Put both the mushrooms and flesh aside. Thaw out shrimp and cook over a medium to high heat till shrimp turns pink. begin to cook with a pinch of salt and pepper. Add one cup of raisins when the onion begins to wilt, and cook till raisins soften about 5 minutes. 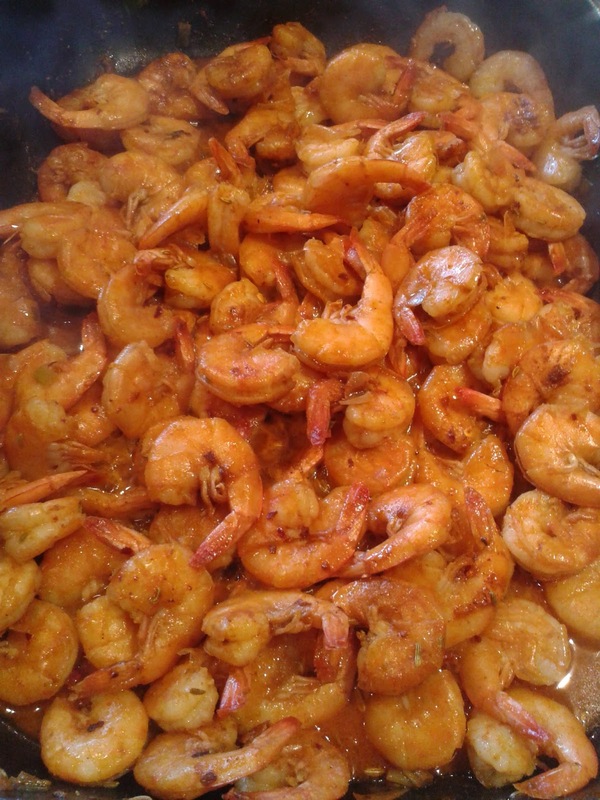 Remove from pan and sprinkle in the raspberry wine vinegar and combine with cooked and peeled shrimp. in the oven with boiler on. Cook till mushrooms begin to soften, about 10-15 minutes. Serve with a light white wine and enjoy the wonderful flavours. Cook tuna steaks to desired doneness. There are many people who like to leave the tuna very pink in the centre more like it is the cow of the seas. Put aside and cover with foil to keep warm. Cut asparagus into halves and lightly cook, then put aside. Cut green onions and bok choy and begin to cook, seasoning to taste, then add snow peas and cook till they soften a little. Combine cooked asparagus and tumble through. In a pan mix the ingredients for the sauce and over a medium heat combine till sugar fully dissolves, stirring constantly. 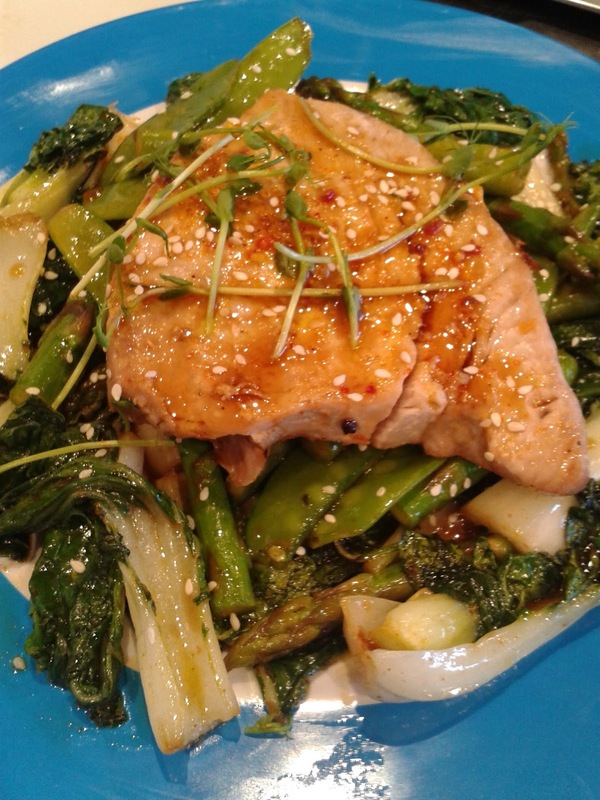 On a plate divide the vegetable mixture, place one tuna steak on top, drizzle with the warm sauce and garnish with a sprinkle of sesame seeds and pea shoots. Cut beef into thin strips. Cook beef till all pink disappears, seasoning to taste and set aside. Prepare large pan and set aside. Cut all ingredients separately and set aside. The carrots should be cut into thin strips, about 2 inches long. Do not cut or chop bean sprouts. Cut off stems of broccoli and divide into small pieces. 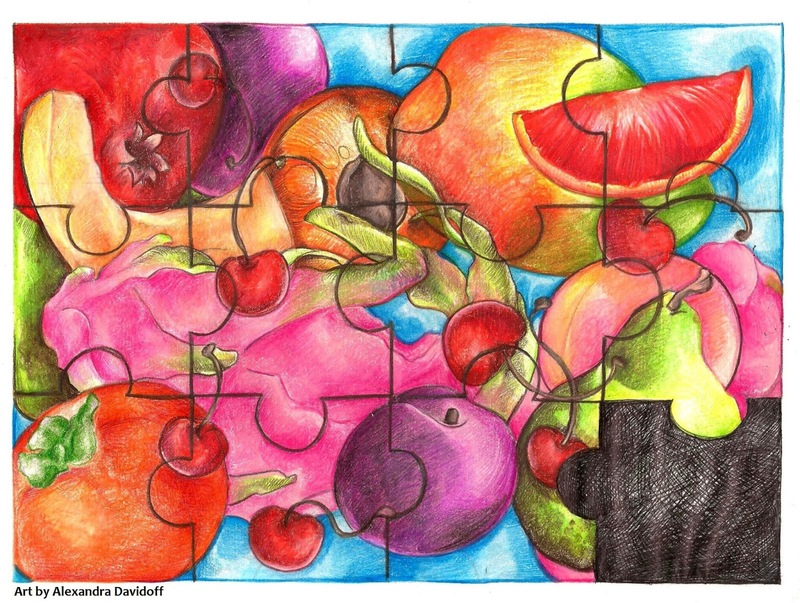 Begin to cook each of the ingredients separately. Each vegetable needs to have some crunch to it not turned to mush. As each vegetable is cooked put it into a large pan separately against the perimeter. Do not combine the ingredients, this is not chop suey. with all the other ingredients surrounding it. (if you prefer the sake can be substituted with rice vinegar as both are based on rice as the main ingredient) and sugar over a medium heat, stirring till sugar fully dissolves and combines. allow to come to a boil and simmer for 5 minutes. Serving this delicious dish is a formality as each ingredient is placed on a plate separately and then the broth used to drizzle over it all. where everything is mixed together. and only combined at the will of the diner. Combine spice mix and set aside. Chop radicchio, leek, green onion and sweet peppers. Whilst cooking vegetables, boil water and prepare spaghettini. Cook shrimp till shrimp turns pink and is no longer translucent. Dust the shrimp in the pan with spice mixture and cook another 5 minutes before serving. Drain the spaghettini and drizzle basil olive oil over it then plate. ground ginger, ground mustard, garlic salt, curry powder, paprika and salt. Pizza is a fun thing to eat and each of you can enjoy a fresh version of this delectable staple of North America's diet, and when you don't have the time to roll out your own dough, then cheat as I have. 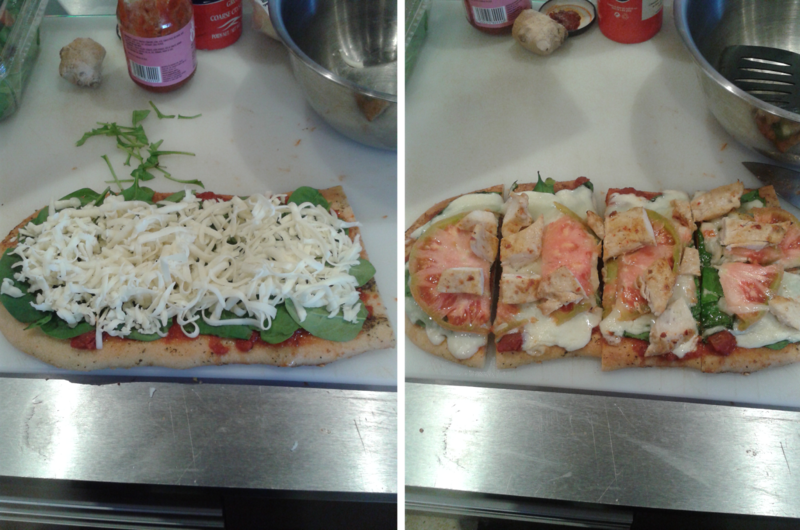 At my station I had made a number of versions of this Cheater's Pizza using freshly baked foccacia bread for a base. The toppings are limitless and you can satisfy more than one individual at a gathering, even the most pickiest. This has been one of the favourites with roasted chicken breast, and the formula simple as one, two and three. 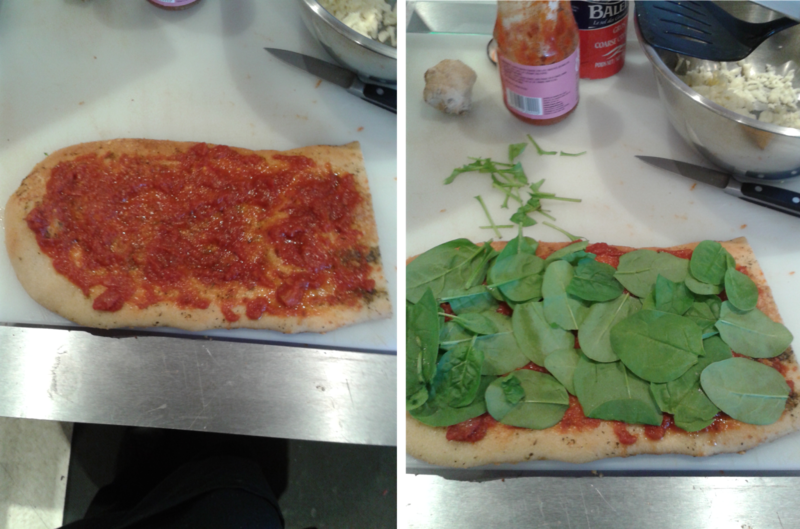 Spread the pizza sauce over the foccacia bread then layer baby spinach across the whole surface. Evenly spread the chosen cheese. I am not a fan of mozzarella as it tends to be too greasy and bland. Place the cheese over the delicate leaves of the baby spinach to keep it from burning. Arrange slices of chicken breast, roasted red pepper and then add the mango. Place under the broiler and wait till the cheese melts. Now all that's left is to lick your fingers and act like Oliver and ask for more please.